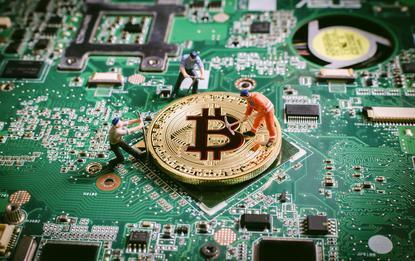 The demand for blockchain engineers or software developers has continued to skyrocket over the past year and salaries for those positions are growing in lockstep. 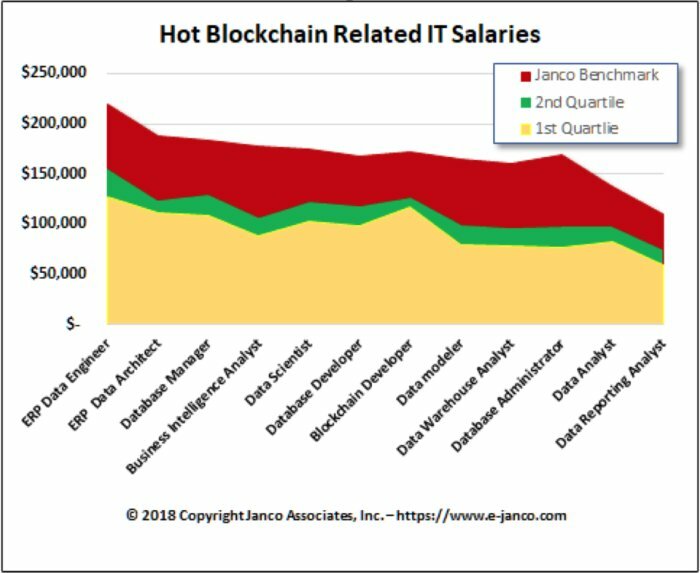 The median salary for a blockchain developer is now US$127,000, with experienced individuals commanding upwards of US$172,000 when they move to new organisations, according to Janco Associates, a management consulting firm that conducts regular salary surveys. "ERP and Blockchain jobs are in great demand. Individuals can look forward to salaries continuing to increase," Janco CEO Victor Janulaitis said via email. Hired, a job recruitment firm, placed the salary for blockchain engineers even higher than Janco, saying blockchain engineers can command between US$150,000 and US$175,000 a year; the agency also said demand for blockchain engineers has increased by 400 per cent since late 2017; those jobs are now on par with developers of artificial intelligence (AI). Over the past 12 months, total job openings for blockchain skills have grown to 12,006, according to job data analytics firm Burning Glass Technologies. That represents a growth rate of 316 per cent over that time frame. In June, Burning Glass reported 5,743 blockchain developer jobs. The median advertised salary for Software Developers requiring blockchain is US$125,000 to US$150,000, according to Burning Glass. Freelance job site, Upwork, said demand for blockchain-based positions has increased on average 96 per cent quarter-to-quarter in terms of job postings; it sees blockchain development as the hottest skill in the freelance job market today. People with experience using specific blockchain iterations such as Solidity and Hyperledger Composer are in even higher demand - and that demand is increasing steadily, said Eric Piscini, a principal in the technology and banking practices at Deloitte Consulting LLP. "This is the number one thing I have in mind when I wake up in the morning: 'Where will I find more engineers to join the team,'" he said in an earlier interview with Computerworld. In addition to postings at established companies such as Deloitte, 2,977 blockchain start-ups have posted 2,043 jobs, according to AngelList, a website for investors and job-seekers looking for work at start-ups. Even as companies are posting a plethora of blockchain jobs, there is a dearth of talent to fill them. According to Upwork's latest figures (posted in June), 53 per cent of hiring managers surveyed cite access to skills as their biggest hiring challenge, and the majority (59 per cent) are already utilising flexible talent. The top blockchain jobs available today include entry-level and internship positions; blockchain engineers; blockchain project managers; and blockchain developers. The best career opportunities are now in financial services, government agencies and at tech companies; all are seeking ways blockchain can create new efficiencies. Other blockchain positions include quality engineers and legal consultants or attorneys, and blockchain web designers. 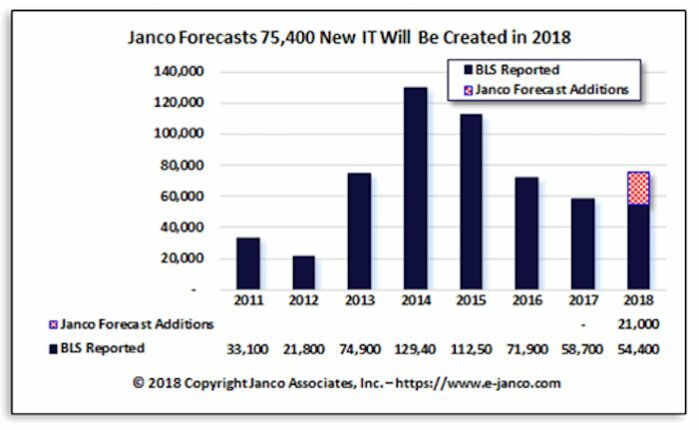 Large organisations are also planning to beef up their middle management as they focus on Big Data, blockchain and smartphone and tablet connectivity, according to Janco. Several accredited U.S. universities now offer courses on blockchain, such as MIT, which has offered two courses on crypto currency engineering and design, and Stanford University, which has a course called Bitcoin Engineering that teaches developers how to create bitcoin-enabled applications. There are also specialty schools, such as Mountain View, Calif.-based Blockchain University and London-based education startup B9lab, which launched an online Certified Ethereum Developer Training program in 2016. "We've been running this and other courses for over two years now and have trained 1,000 people from over 75 countries," said Elias Haase, founder of B9lab. "Our youngest student was 14, the oldest 76. So we've seen a pretty broad variety of developers," he said.